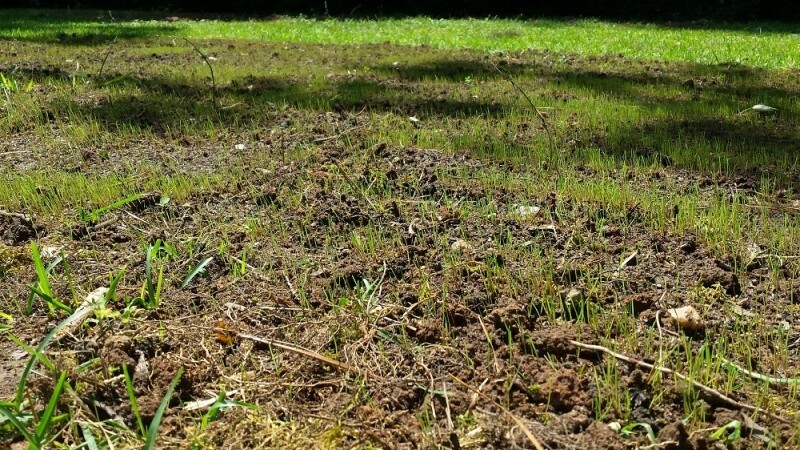 On Memorial Day afternoon, I got my soil moved in the back yard, raled it out and raked in some grass seed. Look at what I found this morning. Great job 75 and it doesn't look like weeds! It surprised me. We went out to eat on Saturday and stopped by Big Lots to look around. I bought the seed the sprayer and hose there. On second thought I was concerned about possible dud seed. No problems there! To quote Ed Norton, "Va, Va, Va Voom!!!" Now you need to make sure the lawn mower will work. I have my eye on a new 75 ft. cord for it, but the seller is on vacation til the 10th.